The leaders in manufacturing and repairing for the marble unit work is now in your lake city, Udaipur. 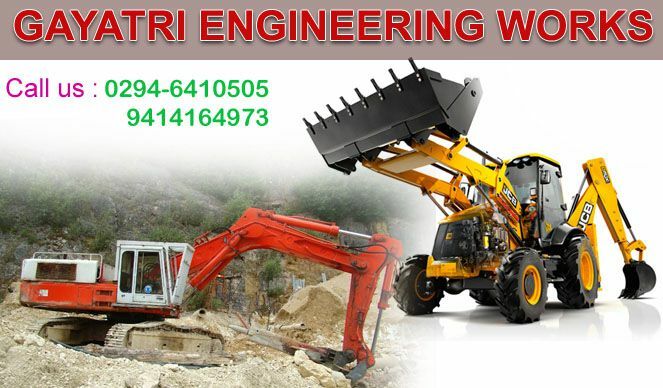 Gayatri engineering works is known for the repairing of spares for marble unit , heavy cement plant, Earth Moving Equipment and different types of hydraulic cylinders. It is the most trusted source of the repairing demands of all the consumers. We create a satisfaction chain and all the demands of the customers are satisfied by our unit members. Be it any tender or your biggest venture our support will never let you feel low. We have the most efficient working units.